HERE we go! ‘Angel Cat’ soft-vinyl toy now opened for international orders. 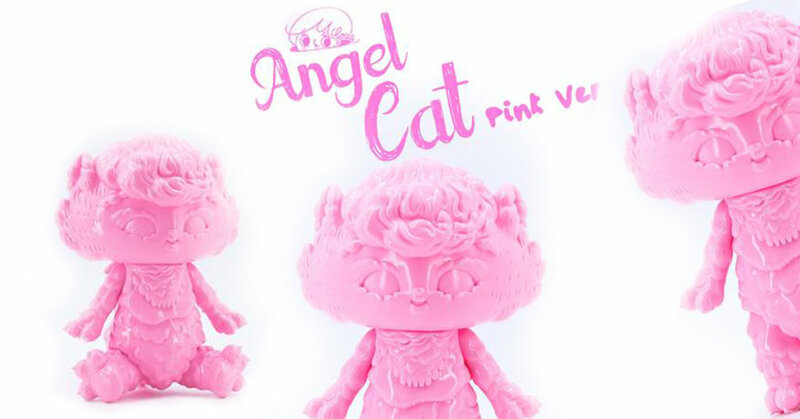 No need to be salty anymore as Miloza 米路沙 the artist behind “The Fairy Twins” anticipated new ‘Angel Cat’ soft-vinyl toy hits a global release after making its sold-out debut at BTS last weekend. Miloza Ma, is an illustrator and character designer, Miloza never confines herself to two-dimensional art but also devotes herself to figure making by turn her illustrated characters into physical reality. She often finds inspiration from her two obsessions – the Universe and New Age Theology – to conjure up new images and new concepts. HOW: Interested parties please kindly click into the following order link BELOW and fill in a few details. Succeed order will receive a confirmation email shortly. Availability on a first come first serve basis. Goodluck!